Today’s Friday Five focus is Jodie Toohey, author of historical fiction novels and poetry. Jodie Toohey is the author of five books, two poetry collections – Crush and Other Love Poems for Girls (2008) and Other Side of Crazy (2013) – as well as three novels, Missing Emily: Croatian Life Letters (2012), Melody Madson – May It Please the Court? (2014), and Taming the Twisted (2015). 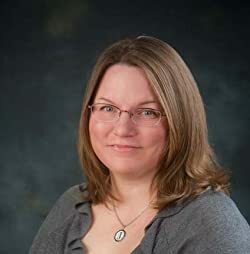 When she is not writing fiction or poetry, Jodie helps authors, soon-to-be authors, and want-to-be authors from pre-idea to reader through her Wordsy Woman Author Services company. In Taming the Twisted, the fictional 17-year old Abigail Sinkey finds herself entangled in abandonment, her parents’ death, a murder, scandal, and romance after a tornado destroys her town of Camanche, Iowa, on June 3, 1860. That would be pure torture! Maybe the Bible. I’m not a religious person, but I’ve never read it, I assume it would take a long time to read it, and it might help me to remember other stories I’ve read which reference it. 2. What is the most important thing that people DON’T know about your subject/genre, that you think they need to know? I’m not sure about the genre in general, but about my writing in historical fiction, I want them to know that I do my absolute best to make every detail historically accurate, even a lot of them they probably wouldn’t care about. To be able to travel in time, not to be in that time period, but just to observe. It would make research so much easier. 4. What genre do you currently read most and why? I currently usually have a historical fiction book, a business/marketing book, a research book, and a poetry book going. Because I help authors with marketing, I like to stay up to date on the industry. The research book is for the latest project I’m working on (right now, immediate post-civil war). Historical fiction and poetry is because that’s what I like to write so I like to see what others are doing; plus I simply enjoy them. My target audience is women who like to read good stories with a lot going on and learn something in the process. They are also more likely to live in, around, or at least be familiar with this geographic area. Taming the Twisted is currently available through Amazon.